Has anyone ever remove the left hand side rear floor support bracket ? The right hand bracket simply unbolts but the left hand leg is welded to the frame outrigger . Is is just spot welded ? 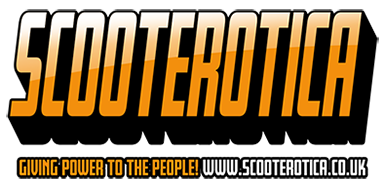 I'd like to remove both brackets as I am forever gouging my ankles and shins on the damn things when pushing the scoot around as I usually run with the rear floor panels removed .